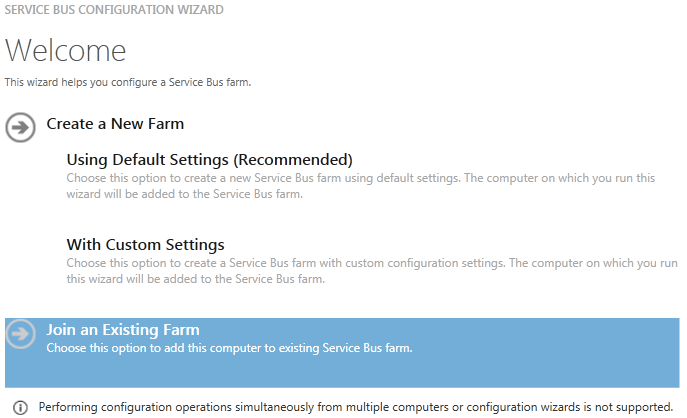 Service Bus is a newly released technology by Microsoft (October 24th 2012). It aims at being an on-premise equivalent to its Azure Service counter part. It implements a subset of its cloud counter part (install notes). Windows Server Service Bus (WSSB) is part of Windows Server licensing and is therefore ‘free’. The differences between the cloud and on-premise versions of Service Bus are explained here. None seem to be related to a limitation of the on-premise product but are instead related the two different environments, e.g. addressing scheme is fixed in Azure while it contains any domain name on-premise. Windows Server Service Bus 1.0 is supporting Queues, Topics & Subscription. It therefore supports straight asynchronous publishing (via queues) and publish-subscribe asynchronous publishing (through topics & subscriptions). There are no guarantees of in order delivery although order is mostly respected in queues.